Our very first grant - thanks LUSH! Last August I decided to apply for our very first grant through the amazing conscious company that is LUSH. The whole process from application to approval (and everything in between) took about 9 months but it was so worth the wait and hard work - when I got the email to say our grant had been approved I was over the moon! This grant means we will also have our very own Charity Pot featuring my leopard photo in LUSH stores throughout Australia, so keep an eye out in the next month or so. So exciting!! HUGEST of thank yous to LUSH who have provided funds for both our leopard and lion projects in Africa! The funds for our leopard project (AUD$4,730) will go to the collaring and ongoing monitoring of a leopard who has been caught up in human-wildlife conflict in Namibia, stay tuned to our blog and socials for an update on when this happens. 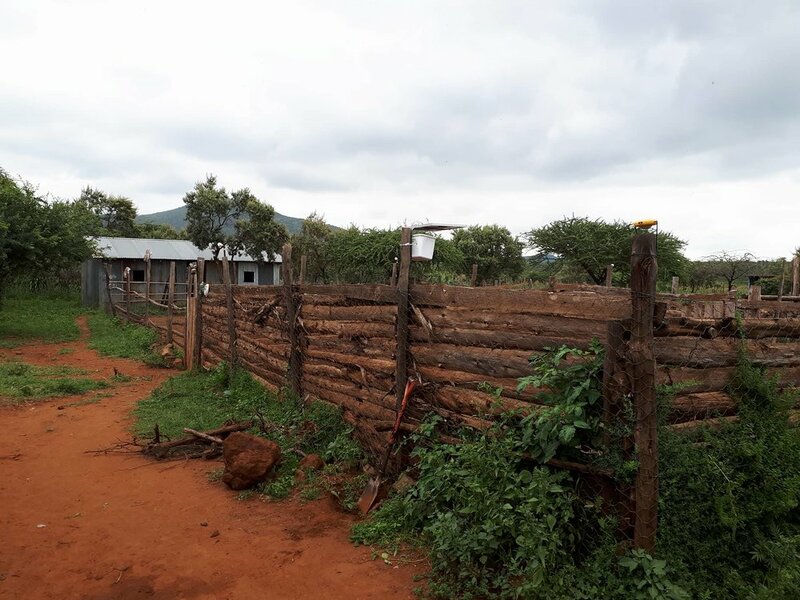 The funds for our lion project (AUD$1,815) is going to the installation of Lion Entry Deterrent (LED) lights on livestock bomas (enclosures) in human-wildlife conflict areas in Kenya, and this is already underway. The first of four bomas was installed this past weekend in the Enkusero Sampu Conservancy area, a village where a well known old male lion named Trumb lives. This first livestock boma belongs to husband and wife David and Agnes Kadonyu and their family, some photos below. Not only will the installation of LED lights keep David and Agnes's livestock safe, most importantly it will keep lions and all other predators in this area safe from retaliatory and preventative killings - a common occurrence in Kenya which is what we fight to reduce, and ultimately stop. Once again a massive thank you LUSH, we are so super grateful for your support! We'll post regular updates on this grant here on the blog (follow here) and on our socials.